New York rapper Juelz Santana returned with a new mixtape called God Will'n, which features 18 new tracks. It's been a long time since we've heard from Santana and quite honestly, I'm not sure what happened to the emcee. Back in the mid 2000's, around 2005-2007 he was featured on everyone's track and usually killin' it. Especially the joints he did with Lil Wayne, but then the music just kind of stopped and became more sporadic. There is quite a lot of feature verses on this tape that include Fabolous, Rick Ross, Meek Mill, Jim Jones, Jeremih, Wale, Lil Reese, Lloyd Banks, Yo Gotti, Wiz Khalifa, and a few more. 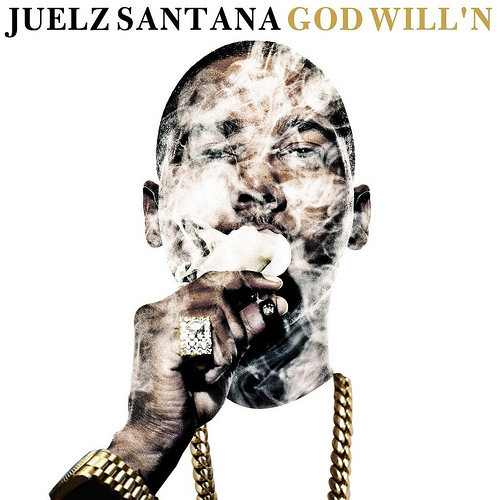 Is Juelz back to his old form? Not quite, but it is still an above average release for someone who might be making his comeback this year? For now, you can stream and download the mixtape below.